Ep 83 - THE CHRISTMAS SPECIAL! HO HO HO! Ep 82 - HELLO CAMPERS! Ep 81 - A WONKY WIGWAM WONDERLAND! 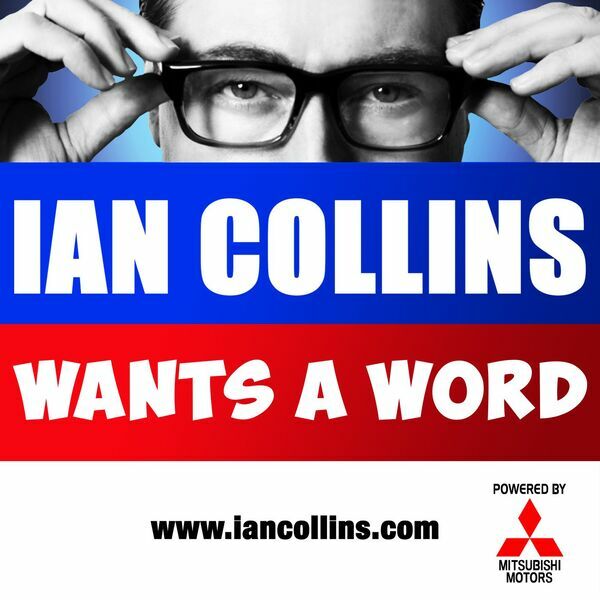 Ep 80 - WANTS A WORD - THE MUSICAL! Ep 79 - ADVENTURES IN TIME AND (CYBER)SPACE! Ep 78 - LET'S SCHMOOZE, WITH SEAN HUGHES!! Ep 76 - IAN AND KEV'S WINTER WARMER! Ep 72 - IAN TAKES A SELFIE! Ep 70 - BACK! PLUS, THE BUGLE'S ANDY ZALTZMAN! Ep 69 - SCHOOL'S OUT! Ep 68 - SIZZLIN' SUMMER TOMBOLATRON! Ep 67 - THE UNEXPLORED...plus MATT FORDE! Ep 66 - SIDESHOW KATE AND THE ROYAL MAYBE! Ep 65 - THORA HIRD AND THE KILLER BEES! Ep 64 - POD DAYS OF SUMMER! Ep 63 - THE FILTH AND THE FURRY! Ep 62 - ALEX JONES...SPEAKS OUT!! Twitter us! @iancollinsuk and @sideshow_kev. Ep 61 - IAN, KEV AND THE LaDONA LEGACY! Ep 59 - PICK OF THE PODS with TONY BLACKBURN! Ep 58 - with LEE HURST! Ep 56 - BUMPER EPISODE! With HELEN AND OLLY! Ep 55 - KNEEL BEFORE POD! Ep 54 - The One With The MYSTERY GUEST! Ep 53 - The WANTS A WORD COMEDY SAFARI! Ep 52 - EASTER SPECIAL...with TIM VINE! Ep 51 - THE LEO SAYER MYSTERIES! Ep 50 - COWS, ZOMBIES & THE DIANA CONSPIRACY! Ep 49 - A Good Day To POD HARD! Ep 48 - No features, no guests - it's TOMBOLATRON! Ep 46 - BRING ON THE DANCING HORSES! Ep 45 - Lady LaDONA! Ep 44 - CALLING OUT TO CAROL! Ep 43 - BACK IN BLACK! Ep 42- THE CHRISTMAS SPECIAL!! Ep 41 - ROAD TRIP!! Ep 39 - The NO-SHOW Show! Ep 38 - THE WANTS A WORD PRE-FESTIVE FESTIVAL! Ep 36 - WITH THE PUB LANDLORD - AL MURRAY! Ep 35 - UFOs...THE ULTIMATE TRUTH!! Ep 33 - The ALEX JONES Rebuttal! Ep 32 - MANIMAL MAGIC! Ep 30 - FUNKED UP AND THIRTY! Ep 28 - THREE. It's The Magic Number! Ep 27 - The Post-Olympic End Of Season Sale! Ep 26 - Fifty Shades Of GREAT BRITAIN! Ep 25 - The Big Moon Hoax Theory! Ep 24 - Movin' On Up - WITH MILES JUPP! Ep 22 - It's The End... Of The World...? Ep 21 - The Big 21st Episode Jamboree! Ep 20 - Ain't No Party Like a SEAN HUGHES Party! Ep 19 - Ian's Post-Summer Hangover! Ep 18 - Ian's Saucy Summer Special! Ep 17 - with David Icke. Yes, really. Ep 16 - with guest Robin Ince! Ep 15 - with 'conspiracy theorist' Alex Jones! Ep 14 - with guest Justin Moorhouse, and more! Ep 13 - with The Bugle's Andy Zaltzman! Ep 07 - Ian And Helen And Olly. Golly! Ep 04 - with comedian John Maloney! Ep 03 - with Iain Lee of Iain Lee fame! Ep 02 - with Loose Women's Carol McGiffin! Ep 01 - with guest Grace Dent!